The provisions of the Oregon statutes that permit the filing of mechanics liens and materialman's liens on construction projects can be found in Oregon's Construction Lien Law, O.R.S. § 87.001 et. seq. 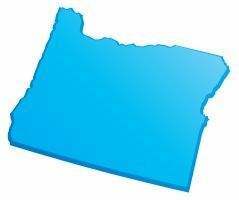 The full text of the Oregon Construction Lien Law is provided below, and has been updated as of 2011. To see a quick synopsis of the most important provisions, take a look at our Oregon Frequently Asked Questions page. ORS 87.001 to 87.060 and 87.075 to 87.093 shall be known and may be cited as the Construction Lien Law. (1) “Commencement of the improvement” means the first actual preparation or construction upon the site or the first delivery to the site of materials of such substantial character as to notify interested persons that preparation or construction upon the site has begun or is about to begin. (2) “Construction” includes creation or making of an improvement, and alteration, partial construction and repairs done in and upon an improvement. (3) “Construction agent” includes a contractor, architect, builder or other person having charge of construction or preparation. (b) Materials, supplies and labor at the site. (5) “Improvement” includes any building, wharf, bridge, ditch, flume, reservoir, well, tunnel, fence, street, sidewalk, machinery, aqueduct and all other structures and superstructures, whenever it can be made applicable thereto. (6) “Mortgagee” means a person who has a valid subsisting mortgage of record or trust deed of record securing a loan upon land or an improvement. (7) “Original contractor” means a contractor who has a contractual relationship with the owner. (c) A person to whom a valid subsisting lease on land or an improvement is made, and who possesses an interest in the land or improvement by reason of that lease. (9) “Preparation” includes excavating, surveying, landscaping, demolition and detachment of existing structures, leveling, filling in, and other preparation of land for construction. (10) “Site” means the land on which construction or preparation is performed. (11) “Subcontractor” means a contractor who has no direct contractual relationship with the owner. (a) A new single family residence or a single family residence where the sales price is $50,000 or more for original construction or the contract price is $50,000 or more for improvements to the residence completed within three months before the date the property is sold. (b) A new condominium unit or a condominium unit where the sales price is $50,000 or more for original construction or the contract price is $50,000 or more for improvements to the condominium unit completed within three months before the date the property is sold. As used in this paragraph, “condominium unit” has the meaning given that term in ORS 100.005. (c) A new residential building or a residential building where the sales price is $50,000 or more for original construction or the contract price is $50,000 or more for improvements to the residential building completed within three months before the date the property is sold. As used in this paragraph, “residential building” means a building or structure that contains not more than four dwelling units capable of use as residences or homes. (B) On forms and at rates filed with, but not disapproved by, the Director of the Department of Consumer and Business Services. (B) A claim of lien has been perfected against the property, that 135 days have passed since the date that each such claim of lien was filed and that all perfected claims of lien have been released or waived. (c) Maintain a bond or letter of credit in an amount that is not less than 25 percent of the sale price of the property. The Construction Contractors Board shall prescribe by rule the amount, terms and conditions of the bond or letter of credit to be maintained under this paragraph. (d) Obtain written waivers from every person that claims or perfects a lien or liens under ORS 87.010 or 87.035 that, in an aggregate amount, exceed $5,000 with respect to the property and provide copies of the waivers to the purchaser not later than the date the sale of the property is completed. (e) Complete the sale of the residential property after the deadline for perfecting a claim of lien under ORS 87.035 with respect to the property. (3) Not later than the date on which the sale of the residential property is completed, the owner who sold the property shall complete, sign and deliver to the purchaser a form that specifies the method that the owner has selected to comply with the requirements of subsection (2) of this section or that states that subsection (2) of this section does not apply to the sale of the property. The notice must be in a form the Construction Contractors Board designates by rule under ORS 701.235. (4) A real estate licensee, as defined in ORS 696.010, acting in the professional capacity of a licensee is not liable in a criminal, civil or administrative proceeding that arises out of the failure of an owner of record to comply with subsection (2) or (3) of this section. (5) Violation of subsection (3) of this section is a Class A violation. (6) In addition to any other remedy or penalty provided by law, a purchaser may bring an action to recover up to twice the amount of actual damages caused by a violation of subsection (2) of this section. The court may award to the prevailing party, in addition to costs and disbursements, reasonable attorney fees. Any action brought under this subsection must be commenced not later than two years after the date on which the sale of the property is completed. (B) Satisfies the claim of lien or obtains a release from the claim of lien on the property that is the subject of the sale. (8) A violation of subsection (2) or (3) of this section does not occur with respect to a lien described in ORS 87.010 during the period that the validity of the lien is disputed in a judicial proceeding or a proceeding described in ORS chapter 701. (9) Nothing in this section requires the payment of a lien that is not otherwise valid. This section does not apply to claims of lien perfected by persons that furnish materials, equipment, services or labor at the request of the purchaser of the residential property. Click Here to File a Oregon Document. (1) Any person performing labor upon, transporting or furnishing any material to be used in, or renting equipment used in the construction of any improvement shall have a lien upon the improvement for the labor, transportation or material furnished or equipment rented at the instance of the owner of the improvement or the construction agent of the owner. (2) Any person who engages in or rents equipment for the preparation of a lot or parcel of land, or improves or rents equipment for the improvement of a street or road adjoining a lot or parcel of land at the request of the owner of the lot or parcel, shall have a lien upon the land for work done, materials furnished or equipment rented. (3) A lien for rented equipment under subsection (1) or (2) of this section shall be limited to the reasonable rental value of the equipment notwithstanding the terms of the underlying rental agreement. (4) Trustees of an employee benefit plan shall have a lien upon the improvement for the amount of contributions, due to labor performed on that improvement, required to be paid by agreement or otherwise into a fund of the employee benefit plan. (5) An architect, landscape architect, land surveyor or registered engineer who, at the request of the owner or an agent of the owner, prepares plans, drawings or specifications that are intended for use in or to facilitate the construction of an improvement or who supervises the construction shall have a lien upon the land and structures necessary for the use of the plans, drawings or specifications so provided or supervision performed. (6) A landscape architect, land surveyor or other person who prepares plans, drawings, surveys or specifications that are used for the landscaping or preparation of a lot or parcel of land or who supervises the landscaping or preparation shall have a lien upon the land for the plans, drawings, surveys or specifications used or supervision performed. (1) The site together with the land that may be required for the convenient use and occupation of the improvement constructed on the site, to be determined by the court at the time of the foreclosure of the lien, shall also be subject to the liens created under ORS 87.010 (1), (4) and (5) if, at the time of the commencement of the improvement, the person who caused the improvement to be constructed was the owner of that site and land. If the person owned less than a fee-simple estate in the site and land, then only the interest of the person therein shall be subject to the lien. (2) If a lien created under ORS 87.010 (1), (4) and (5) is claimed against a unit as defined in ORS 100.005 to 100.910, the Oregon Condominium Act, the common elements appertaining to that unit are also subject to the lien. (3) When the interest of the person who caused the improvement to be constructed is a leasehold interest, and that person has forfeited the rights of the person thereto, the purchaser of the improvement and leasehold term at any sale under the provisions of ORS 87.001 to 87.060 and 87.075 to 87.093, is deemed to be the assignee of the leasehold term, and may pay the lessor all arrears of rent or other money and costs due under the lease. If the lessor regains possession of the property, or obtains judgment for the possession thereof prior to the commencement of construction of the improvement, the purchaser may remove the improvement within 30 days after the purchaser purchases it, and the owner of the land shall receive the rent due the owner, payable out of the proceeds of the sale, according to the terms of the lease, down to the time of removal. Except as provided in ORS 87.093, all notices required under ORS 87.001 to 87.060 and 87.075 to 87.093 shall be in writing and delivered in person or delivered by registered or certified mail. (1) Except when material, equipment, services or labor described in ORS 87.010 (1) to (3), (5) and (6) is furnished at the request of the owner, a person furnishing any materials, equipment, services or labor described in ORS 87.010 (1) to (3), (5) and (6) for which a lien may be perfected under ORS 87.035 shall give a notice of right to a lien to the owner of the site. The notice of right to a lien may be given at any time during the progress of the improvement, but the notice only protects the right to perfect a lien for materials, equipment and labor or services provided after a date which is eight days, not including Saturdays, Sundays and other holidays as defined in ORS 187.010, before the notice is delivered or mailed. However, no lien is created under ORS 87.010 (5) or (6) for any services provided for an owner-occupied residence at the request of an agent of the owner. (2) The notice required by subsection (1) of this section shall be substantially in the form set forth in ORS 87.023. (3)(a) Except as provided in paragraph (b) of this subsection, a lien created under ORS 87.010 (1) to (3), (5) or (6) may be perfected under ORS 87.035 only to the extent that the notice required by subsection (1) of this section is given. (A) “Commercial improvement” means any structure or building not used or intended to be used as a residential building, or other improvements to a site on which such a structure or building is to be located. (B) “Residential building” means a building or structure that is or will be occupied by the owner as a residence and that contains not more than four units capable of being used as residences or homes. (4) Unless otherwise agreed or the lien claimant who is required to give the notice under subsection (1) of this section is in privity with the original contractor, when a provision in an agreement for the construction of a commercial improvement requires the original contractor to hold an owner harmless or to indemnify an owner for a lien created under ORS 87.010 and perfected under ORS 87.035, that provision is not enforceable as to any lien which requires that a notice under this section be given to the owner unless a copy of the notice is delivered pursuant to ORS 87.018 to the original contractor not later than 10 days after its receipt by the owner. NOTICE OF RIGHT TO A LIEN. PROTECT YOURSELF FROM PAYING ANY CONTRACTOR OR SUPPLIER TWICE FOR THE SAME SERVICE. This is to inform you that ___________________ has begun to provide ___________________ (description of materials, equipment, labor or services) ordered by ___________________ for improvements to property you own. The property is located at ____________________________. A lien may be claimed for all materials, equipment, labor and services furnished after a date that is eight days, not including Saturdays, Sundays and other holidays, as defined in ORS 187.010, before this notice was mailed to you. Even if you or your mortgage lender have made full payment to the contractor who ordered these materials or services, your property may still be subject to a lien unless the supplier providing this notice is paid. THIS IS NOT A LIEN. It is a notice sent to you for your protection in compliance with the construction lien laws of the State of Oregon. IF YOU HAVE ANY QUESTIONS ABOUT THIS NOTICE, FEEL FREE TO CALL US. Under Oregon’s laws, those who work on your property or provide labor, equipment, services or materials and are not paid have a right to enforce their claim for payment against your property. This claim is known as a construction lien. If your contractor fails to pay subcontractors, material suppliers, rental equipment suppliers, service providers or laborers or neglects to make other legally required payments, the people who are owed money can look to your property for payment, even if you have paid your contractor in full. The law states that all people hired by a contractor to provide you with materials, equipment, labor or services must give you a notice of right to a lien to let you know what they have provided. -RECOGNIZE that this notice of right to a lien may result in a lien against your property unless all those supplying a notice of right to a lien have been paid. -LEARN more about the lien laws and the meaning of this notice by contacting the Construction Contractors Board, an attorney or the firm sending this notice. -ASK for a statement of the labor, equipment, services or materials provided to your property from each party that sends you a notice of right to a lien. -WHEN PAYING your contractor for materials, equipment, labor or services, you may make checks payable jointly to the contractor and the firm furnishing materials, equipment, labor or services for which you have received a notice of right to a lien. -OR use one of the methods suggested by the “Information Notice to Owners.” If you have not received such a notice, contact the Construction Contractors Board. -GET EVIDENCE that all firms from whom you have received a notice of right to a lien have been paid or have waived the right to claim a lien against your property. -CONSULT an attorney, a professional escrow company or your mortgage lender. (1) A lien created under ORS 87.010 (2) or (6) and perfected under ORS 87.035 upon any lot or parcel of land shall be preferred to any lien, mortgage or other encumbrance which attached to the land after or was unrecorded at the time of commencement of the improvement. (2) Except as provided in subsections (3) and (6) of this section, a lien created under ORS 87.010 (1), (4) or (5) and perfected under ORS 87.035 upon any improvement shall be preferred to all prior liens, mortgages or other encumbrances upon the land upon which the improvement was constructed. To enforce such lien the improvement may be sold separately from the land; and the purchaser may remove the improvement within a reasonable time thereafter, not to exceed 30 days, upon the payment to the owner of the land of a reasonable rent for its use from the date of its purchase to the time of removal. If such removal is prevented by legal proceedings, the 30 days shall not begin to run until the final determination of such proceedings in the court of first resort or the appellate court if appeal is taken. (3) No lien for materials or supplies shall have priority over any recorded mortgage or trust deed on either the land or improvement unless the person furnishing the material or supplies, not later than eight days, not including Saturdays, Sundays and other holidays as defined in ORS 187.010, after the date of delivery of material or supplies for which a lien may be claimed delivers to the mortgagee either a copy of the notice given to the owner under ORS 87.021 to protect the right to claim a lien on the material or supplies or a notice in any form that provides substantially the same information as the form set forth in ORS 87.023. (4) A mortgagee who has received notice of delivery of materials or supplies in accordance with the provisions of subsection (3) of this section, may demand a list of those materials or supplies including a statement of the amount due by reason of delivery thereof. The list of materials or supplies shall be delivered to the mortgagee within 15 days, not including Saturdays, Sundays and other holidays as defined in ORS 187.010, of receipt of demand, as evidenced by a receipt or a receipt of delivery of a registered or certified letter containing the demand. Failure to furnish the list or the amount due by the person giving notice of delivery of the materials or supplies shall constitute a waiver of the preference provided in subsections (1) and (2) of this section. (5) Upon payment and acceptance of the amount due to the supplier of materials or supplies, and upon demand of the person making payment, the supplier shall execute a waiver of all lien rights as to materials or supplies for which payment has been made. (6) Unless the mortgage or trust deed is given to secure a loan made to finance the alteration or repair, a lien created under ORS 87.010 and perfected under ORS 87.035 for the alteration and repair of an improvement commenced and made subsequent to the date of record of a duly executed and recorded mortgage or trust deed on that improvement or on the site shall not take precedence over the mortgage or trust deed. (7) The perfection of a lien under ORS 87.035 relates to the date of commencement of the improvement as defined in ORS 87.005. Except as provided in subsection (3) of this section, the date of creation of the lien under ORS 87.010 and the date of perfection of the lien under ORS 87.035 do not affect the priorities under this section, the equal priority of perfected lien claimants, or the distribution of proceeds to perfected lien claimants under ORS 87.060 (6). An owner who receives a notice of right to a lien in accordance with the provisions of ORS 87.021 may demand, in writing, from the person providing materials, equipment, services or labor a list of materials or equipment or description of labor or services supplied or a statement of the contractual basis for supplying the materials, equipment, services or labor, including the percentage of the contract completed, and the charge therefor to the date of the demand. The supplier’s statement shall be delivered to the owner within 15 days, not including Saturdays, Sundays and other holidays as defined in ORS 187.010, of receipt of the owner’s written demand, as evidenced by a receipt or a receipt of delivery of a certified or registered letter containing the demand. Failure of the supplier to furnish the information requested constitutes a loss of attorney fees and costs otherwise allowable in a suit to foreclose a lien. (1) Every improvement except an improvement made by a person other than the landowner in drilling or boring for oil or gas, constructed upon lands with the knowledge of the owner shall be deemed constructed at the instance of the owner, and the interest owned shall be subject to any lien perfected pursuant to the provisions of ORS 87.001 to 87.060 and 87.075 to 87.093, unless the owner shall, within three days after the owner obtains knowledge of the construction, give notice that the owner will not be responsible for the same by posting a notice in writing to that effect in some conspicuous place upon the land or the improvement situated thereon. (2) Subsection (1) of this section does not apply to a lien prohibited under ORS 87.037. (1) Every person claiming a lien created under ORS 87.010 (1) or (2) shall perfect the lien not later than 75 days after the person has ceased to provide labor, rent equipment or furnish materials or 75 days after completion of construction, whichever is earlier. Every other person claiming a lien created under ORS 87.010 shall perfect the lien not later than 75 days after the completion of construction. All liens claimed shall be perfected as provided by subsections (2) to (4) of this section. (2) A lien created under ORS 87.010 shall be perfected by filing a claim of lien with the recording officer of the county or counties in which the improvement, or some part thereof, is situated. (d) A description of the property to be charged with the lien sufficient for identification, including the address if known. (4) The claim of lien shall be verified by the oath of the person filing or of some other person having knowledge of the facts, subject to the criminal penalties for false swearing provided under ORS 162.075. An original contractor may not claim a lien arising from the improvement of real property if a written contract for the work is required by ORS 701.305 and the contractor does not have a written contract. (1) A person filing a claim of lien pursuant to ORS 87.035 shall mail to the owner and to the mortgagee a notice in writing that the claim has been filed. A copy of the claim of lien shall be attached to the notice. The notice shall be mailed not later than 20 days after the date of filing. Notice mailed to the owner who received the notice of right to a lien as provided by ORS 87.021 shall be deemed in compliance with the requirement of this subsection, unless the person giving notice has actual knowledge of changed ownership. Notice mailed by any person to the mortgagee who received the notice required under ORS 87.025 shall be deemed in compliance with this subsection unless the person giving the notice has actual knowledge of a change of mortgagee. (2) No costs, disbursements or attorney fees otherwise allowable as provided by ORS 87.060 shall be allowed to any party failing to comply with subsection (1) of this section. (c) The improvement is abandoned as provided by subsection (5) of this section. Notice hereby is given that the building, structure or other improvement on the following described premises, (insert the legal description of the property including the street address, if known) has been completed. All persons claiming a lien upon the same under the Construction Lien Law hereby are notified to file a claim of lien as required by ORS 87.035. (3) Any notice provided for in this section shall be posted on the date it bears in some conspicuous place upon the land or upon the improvement situated thereon. Within five days from the date of posting the notice, the party posting it or the agent of the party shall record with the recording officer of the county in which the property, or some part thereof, is situated, a copy of the notice, together with an affidavit indorsed thereon or attached thereto, made by the person posting the notice, stating the date, place and manner of posting the notice. The recording officer shall indorse upon the notice the date of the filing thereof and record and index the notice in the statutory lien record as required by ORS 87.050. (4) Anyone claiming a lien created under ORS 87.010 on the premises described in a completion or abandonment notice for labor or services performed and materials or equipment used prior to the date of the notice shall perfect the lien pursuant to ORS 87.035. (b) When the owner or mortgagee of the improvement or an agent of either posts and records an abandonment notice in writing signed by either the owner or the mortgagee. (6) When work on the construction of an improvement ceases, if the owner or mortgagee of the improvement intends to resume construction and does not want abandonment to occur, the owner or mortgagee or an agent of either shall post and record a nonabandonment notice in writing signed by either the owner or mortgagee. The notice of nonabandonment shall be posted and recorded not later than the 74th day after work on the construction ceases. The notice of nonabandonment may be renewed at intervals of 150 days by rerecording the notice. (a) That the improvement is either abandoned or not abandoned. (b) The legal description of the property, including the street address if known, on which the improvement is located. (c) In the case of an abandonment notice, that all persons claiming a lien on the improvement should file a claim of lien pursuant to ORS 87.035. (d) In the case of a nonabandonment notice, the reasons for the delay in construction. (e) The date of the notice. (f) The address of the person who signs the notice. The recording officer of each county shall record all notices and claims of lien required to be filed by the provisions of ORS 87.001 to 87.060 and 87.075 to 87.093 in the statutory lien record. The notices and claims recorded in the statutory lien record shall be indexed as deeds and other conveyances are required by law to be indexed and shall constitute a public record of the county. (1) Subject to subsection (2) of this section, a suit to enforce the lien shall be deemed commenced as provided in ORS 12.020. (2) With regard to other parties who are construction lien claimants under ORS 87.035, a suit to enforce the lien shall be deemed to commence when the complaint is filed, whether or not summons or service with regard to such parties is completed within the time required by ORS 12.020. (1) A person intending to foreclose a lien shall deliver to the owner of the property upon which the lien is claimed and to the mortgagee a notice in writing not later than 10 days prior to commencement of the suit stating that such person, or others, intends to commence suit to foreclose the lien. Notice delivered to the mortgagee who received the notice required by ORS 87.025 shall be deemed in compliance with this subsection, unless the person giving notice has actual knowledge of a change of mortgagee. (2) Where a notice of intent to foreclose a lien has been given as provided by subsection (1) of this section, the sender of the notice upon demand of the owner shall furnish to the owner within five days after the demand a list of the materials and supplies with the charge therefor, or a statement of a contractual basis for the owner’s obligation, for which a claim will be made in the suit to foreclose. (3) A plaintiff or cross-complainant seeking to foreclose a lien in a suit to foreclose shall plead and prove compliance with subsections (1) and (2) of this section. No costs, disbursements or attorney fees otherwise allowable as provided by ORS 87.060 shall be allowed to any party failing to comply with the provisions of this section. (1) A suit to enforce a lien perfected under ORS 87.035 shall be brought in circuit court, and the pleadings, process, practice and other proceedings shall be the same as in other cases. (2) In a suit to enforce a lien perfected under ORS 87.035, evidence of the actual costs of the labor, equipment, services and material provided by the lien claimant establishes a rebuttable presumption that those costs are the reasonable value of that labor, equipment, services and material. (3) In a suit to enforce a lien perfected under ORS 87.035, the court shall allow or disallow the lien. If the lien is allowed, the court shall proceed with the foreclosure of the lien and resolve all other pleaded issues. If the lien is disallowed, and a party has made a demand for a jury trial as provided for in subsection (4) of this section, the court shall impanel a jury to decide any issues triable of right by a jury. All other issues in the suit shall be tried by the court. (4) A party may demand a trial by jury of any issue triable of right by a jury after the lien is disallowed, if that party serves a demand therefor in writing upon the other parties at any time prior to commencement of the trial to foreclose the lien. The demand shall be filed with the court. The failure of a party to serve a demand as required by this subsection shall constitute a waiver by the party of trial by jury. A demand for trial by jury made as provided in this subsection may not be withdrawn without the consent of the parties. (5) When notice of intent to foreclose the lien has been given, pleaded and proven as provided for in ORS 87.057, the court, upon entering judgment for the lien claimant, shall allow as part of the costs all moneys paid for the filing or recording of the lien and all moneys paid for title reports required for preparing and foreclosing the lien. In a suit to enforce a lien perfected under ORS 87.035 the court shall allow a reasonable amount as attorney fees at trial and on appeal to the party who prevails on the issues of the validity and foreclosure of the lien. (6) In case the proceeds of any sale under ORS 87.001 to 87.060 and 87.075 to 87.093 are insufficient to pay all lienholders claiming under such statutes, the liens of all persons shall be paid pro rata. Each claimant is entitled to execution for any balance due the claimant after the distribution of the proceeds, and that execution shall be issued by the clerk of the court, upon demand, after the return of the sheriff or other officer making the sale showing the balance due. (7) All suits to enforce any lien perfected under ORS 87.035 shall have preference on the calendar of the court over every civil suit, except suits to which the state is a party, and shall be tried by the court without unnecessary delay. In such a suit, all persons personally liable, and all lienholders whose claims have been filed for record pursuant to ORS 87.035, shall, and all other persons interested in the matter in controversy, or in the property sought to be charged with the lien, may be made parties; but persons not made parties are not bound by the proceedings. The proceedings upon the foreclosure of the liens perfected under ORS 87.035 shall, as nearly as possible, conform to the proceedings of a foreclosure of a mortgage lien upon real property. Any contractor may recover, upon a lien perfected by the contractor, only the amount due to the contractor according to the terms of the contract, after deducting all claims of other parties for work done and materials furnished for which a lien is perfected under ORS 87.035. Where a claim of lien is filed pursuant to ORS 87.035 for work done or material or equipment furnished to any contractor, the contractor shall defend any action brought thereupon at the expense of the contractor, and during the pendency of such action the owner may withhold from the contractor the amount of money for which such claim of lien is filed. In case of judgment against the owner or the property of the owner upon the lien, the owner may deduct from any amount due or to become due by the owner to the contractor the amount of such judgment and costs; and if the amount of the judgment and costs exceeds the amount due by the owner to the contractor, or if the owner has settled with the contractors in full, the owner may recover back from the contractor any amount so paid in excess of the contract price, and for which the contractor was originally the party liable. When a person furnishes or procures materials for use in the construction of an improvement, those materials are not subject to attachment, execution or other legal process to enforce any debt due by the purchaser of the materials, except a debt due for the purchase money thereof, so long as in good faith the materials are about to be applied to the construction of the improvement. (1) The owner of an improvement or land against which a lien perfected under ORS 87.035 is claimed, or an interested person, may file with the recording officer of the county in whose office the claim of lien is filed a bond executed by a corporation authorized to issue surety bonds in the State of Oregon to the effect that the principal or principals on the bond shall pay the amount of the claim and all costs and attorney fees that are awarded against the improvement or land on account of the lien. The bond shall be in an amount not less than 150 percent of the amount claimed under the lien, or in the amount of $1,000, whichever is greater. (2)(a) In lieu of the surety bond provided for in subsection (1) of this section, the owner of an improvement or land against which a lien perfected under ORS 87.035 is claimed, or an interested person, may deposit with the treasurer of the county in which the claim of lien is filed a sum of money or the equivalent of money equal in value to 150 percent of the amount claimed under the lien, or in the amount of $1,000, whichever is greater. (b) A person who makes a deposit under paragraph (a) of this subsection is entitled to any investment income. The treasurer shall pay the investment income to the person who makes the deposit at the time the treasurer, in accordance with ORS 87.083, distributes the money deposited under this subsection. The person who makes the deposit bears the risk for a loss that results from an investment of the money deposited. (3) A person may file a bond or deposit money under subsection (1) or (2) of this section at any time after the claim of lien is filed under ORS 87.035. (4)(a) A person entitled to post a bond under subsection (1) of this section or a cash deposit under subsection (2) of this section may deliver pursuant to ORS 87.018 a written demand to the lien claimant that a lien perfected under ORS 87.035 be released and a notice that if the lien is not released the person may recover the actual costs the person incurred in complying with this section and ORS 87.078 and 87.081 or the sum of $500, whichever is greater. If the lien is not released within 10 days after the demand and notice is delivered and the lien claimant or an assignor of the lien claimant does not bring a suit to foreclose the lien within the time provided in ORS 87.055, and if the person who made the demand has complied with this section and ORS 87.078 and 87.081, then the lien claimant or assignor of the lien claimant who fails to release or foreclose the lien is liable to the person for the actual costs the person incurred in complying with this section and ORS 87.078 and 87.081 or the sum of $500, whichever is greater, in addition to any other remedy provided by law or equity. (b) In an action to recover damages under this subsection in which the plaintiff prevails, the court, at trial and on appeal, shall allow and fix a reasonable amount for attorney fees for prosecution of the action, if the court finds that a written demand for payment of the claim was made on the defendant not less than 20 days before commencement of the action. However, the court may not allow attorney fees to the plaintiff, but shall allow attorney fees to the defendant, if the court finds that the defendant tendered to the plaintiff prior to commencement of the action an amount not less than the damages awarded to the plaintiff. (c) If a lien claimant or an assignor of the lien claimant is served with a demand under paragraph (a) of this subsection and is a prevailing party in the suit to foreclose the lien, then in addition to other costs and attorney fees to which the lien claimant or the assignor of the lien claimant is entitled, the court shall allow the actual costs incurred in addressing the demand or the sum of $500, whichever is greater. (1) A person who files a bond or deposits money under ORS 87.076 shall cause to be served upon the lien claimant a notice of the filing or deposit and, if a bond, a copy thereof, not later than 20 days after the filing or deposit. The notice shall state the location and time of the filing or deposit. (2) If a person does not notify the lien claimant as required by subsection (1) of this section, the filing of the bond or the deposit of money is of no effect and the provisions of ORS 87.083 shall not apply in a suit to foreclose the lien for which the filing or deposit is made. (1) When a person files a bond with the recording officer of the county under ORS 87.076 and serves notice of the filing upon the lien claimant, the person shall file with the same recording officer an affidavit stating that such notice was served. (2) When a person deposits money with the treasurer of a county under ORS 87.076 and serves notice of the deposit upon the lien claimant, the person shall file with the recording officer of the same county an affidavit stating that the deposit was made and notice was served. (1) A suit to foreclose a lien pursuant to ORS 87.060 that is commenced or pending after a bond is filed or money deposited under ORS 87.076 shall proceed as if no filing or deposit was made except that the lien shall attach to the bond or money upon the filing or deposit and the service of notice thereof upon the lien claimant. The property described in the claim of lien is thereafter entirely free of the lien and is not involved in subsequent proceedings. (2) The county or an officer or employee of the county may not be named or otherwise made a party to a suit described in subsection (1) of this section. (3) When a bond is filed or money is deposited, if, in a suit to enforce the lien for which the filing or deposit is made, the court allows the lien, the lien must be satisfied out of the bond or money. The court shall include as part of the court’s judgment an order that specifies the amount the treasurer must release to the judgment creditor and the amount of the remaining balance that the treasurer must release to the person who deposited the money. (4) When a bond is filed or money is deposited, if, in a suit to enforce the lien for which the filing or deposit is made, the court disallows the lien, the court shall include as part of the court’s judgment an order to return the bond or money to the person who filed the bond or deposited the money. (b) Commence an interpleader proceeding under ORCP 31. If a lien claimant considers the bond filed with a recording officer of a county inadequate to protect the claim of the lien claimant for some reason other than the amount of the bond, the lien claimant shall, within 10 days of receipt of the notice of filing, petition the court in which the suit to foreclose the lien may be brought for a determination of the adequacy of the bond. The lien claimant shall state in detail the reasons for the inadequacy. Not later than two days after the filing of the petition with the court, the lien claimant shall send a notice of the filing and a copy of the petition by registered or certified mail to the person who filed the bond. After a hearing, if the court determines that the bond is inadequate for one or more of the reasons stated by the lien claimant, the court shall order such action as shall make the bond adequate to protect the claim of lien. (1) The person who filed the bond or deposited the money under ORS 87.076 notifies the lien claimant and the treasurer in writing and by certified mail that a suit to foreclose the lien was not commenced within the time specified by ORS 87.055. The notice shall provide that the lien claimant has 15 calendar days in which to object to the release of the lien and the return of the money and to provide documentation that demonstrates that a suit was timely commenced or that the time for commencement has not expired. If the treasurer receives an objection, the treasurer may decide how to distribute the money or may commence an interpleader proceeding under ORCP 31. (2) The person who filed the bond or deposited the money presents a certified copy of a court’s order for the release of the bond or all or some of the money to the person. (3) The person who filed the bond or deposited the money presents a written release of lien signed by the lien claimant. The provisions of ORS 87.076, 87.083 and 87.088 do not create a cause of action and may not be asserted as a basis for a per se negligence action. (6) Notwithstanding ORS 87.010 and 87.030, if an original contractor does not deliver an owner or agent with an “Information Notice to Owner” as required under subsections (2) to (4) of this section, the original contractor may not claim any lien created under ORS 87.010 upon any improvement, lot or parcel of land of the owner for labor, services or materials supplied under the residential construction or improvement contract for which the original contractor failed to deliver the required “Information Notice to Owner”. (7) If an original contractor does not deliver an “Information Notice to Owner” to an owner or agent as required under subsection (2) of this section, the board may suspend the license of the original contractor for any period of time that the board considers appropriate or impose a civil penalty of not more than $5,000 upon the original contractor as provided in ORS 701.992. (c) “Residential property” includes, but is not limited to, a residential dwelling and the driveways, swimming pools, terraces, patios, fences, porches, garages, basements, other structures and land that are adjacent or appurtenant to a residential dwelling.